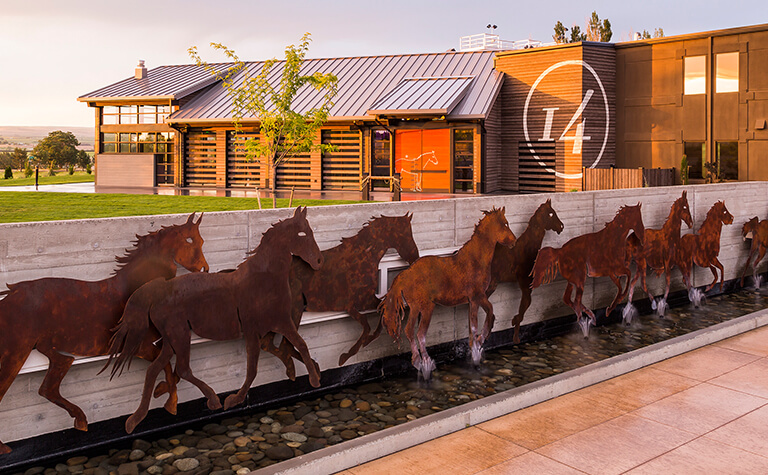 Our tasting room was inspired by the landscape of the Horse Heaven Hills, as well as the history of the region. 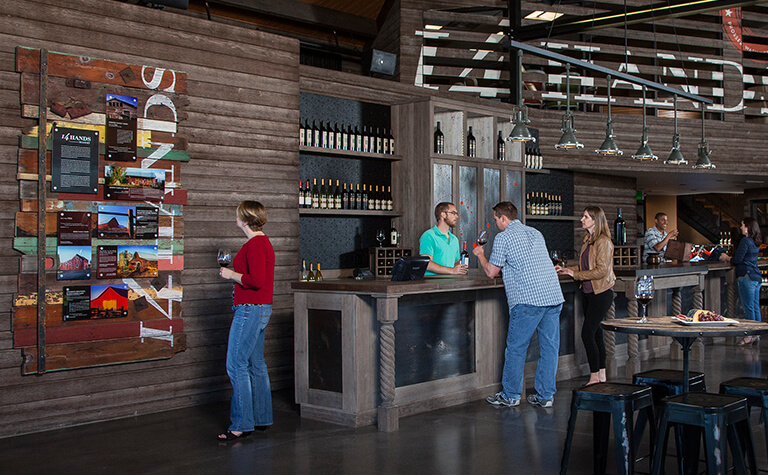 Featuring a beautiful tasting bar, plenty of space to lounge both inside and out, and a unique working barrel room, the 14 Hands Winery is a fantastic tribute to the region’s homesteading, grape-growing and winemaking traditions. 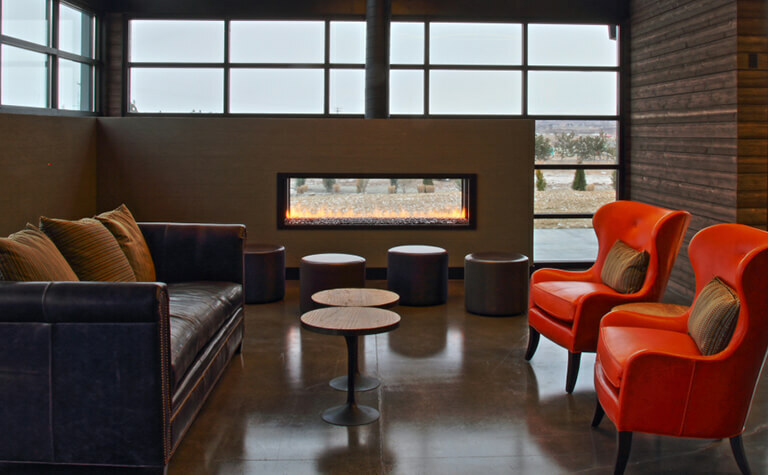 In addition to daily tastings, the winery also offers a unique set of events ranging from fashion shows to culinary adventures to seasonal wine release parties. Be sure to check out our event calendar to see what’s coming up next! Groups of 8 or more require a reservation. Please contact our Guest Services team to arrange your group visit at 509-786-5514. The final tasting of the day start 15 minutes prior to closing. 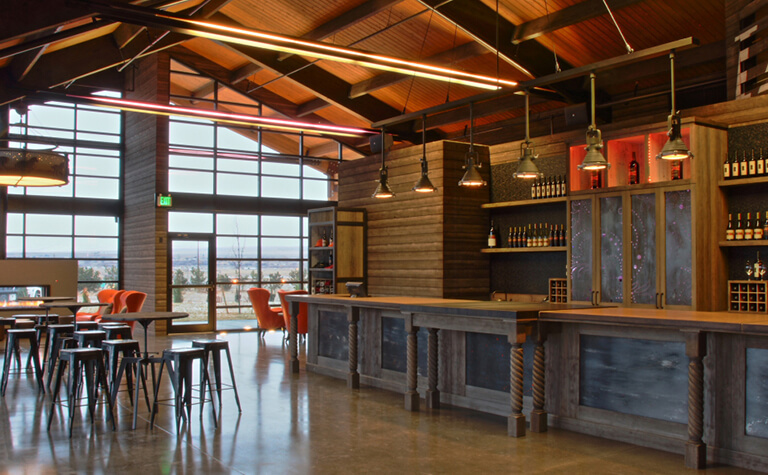 One of the winery’s most unique attributes incorporates the history of the area right into the building itself with a beautiful display of reclaimed barn wood collected from barns in eastern Washington. The stories of these barns and the families who built them are also displayed throughout the winery.